Yep. It’s true. I love rum. 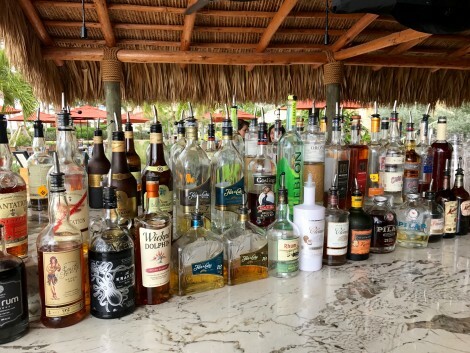 So imagine my delight discovering a rum bar at the newly refurbished and rebranded JW Marriott Marco Island Beach Resort. The bar is named Kane—I thought because rum is deliciously divinely made from sugar cane and drinking too much can muddle spelling, but not so. Marriott officials say that the tiki bar & grill was named for the ‘Polynesian God of Creation and Growth.” Growth of cane and creation of rum? No again. The Polynesian thrust is to honor the Indonesian-Inspired food served as snacking tidbits at the bar. Kane stocks a numbing number of rums—around 40 on an unofficial count. And the rums come from here, there, everywhere good rum is commercially made. 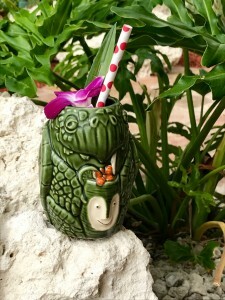 The staggering bounty could be overwhelming, but Kane helps those with high spirits for rum, but low capacity for imbibing, by offering a series of flights—ideal for exploring variety. 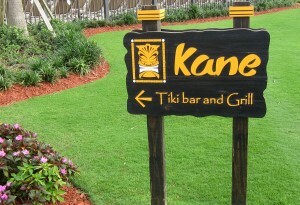 Kane also specializes in rum-soaked cocktails. My favorite is the Turtle Season Lights Out. 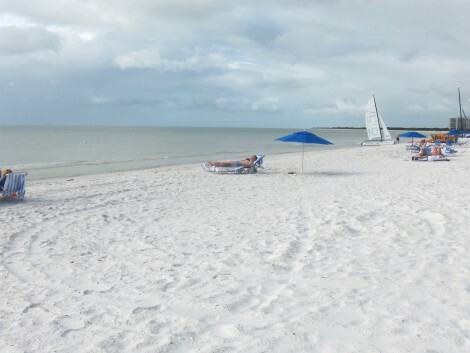 yet the island has a natural Island-getaway ambiance enhanced by a glorious stretch of beach with sand so white that it glistens by both sun and moon light. 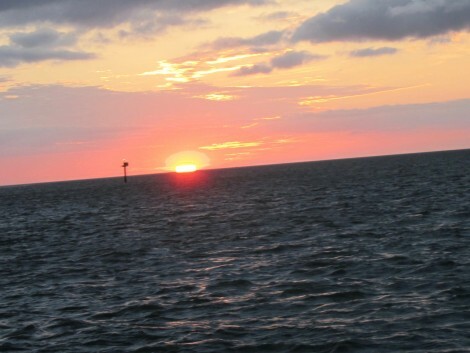 The beach draws tourists by day and, at certain times of the year, turtles by night. 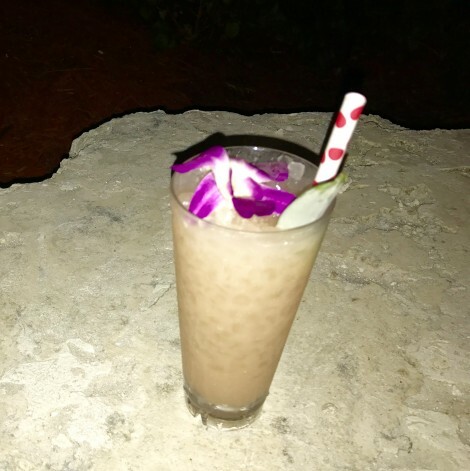 With respect for turtle population growth, the island bans night lights during turtle season, giving the cocktail it’s name—although “lights out” could also refer to mental capabilities after downing a couple. But rum isn’t all. Kane’s cup runneth over with delights. 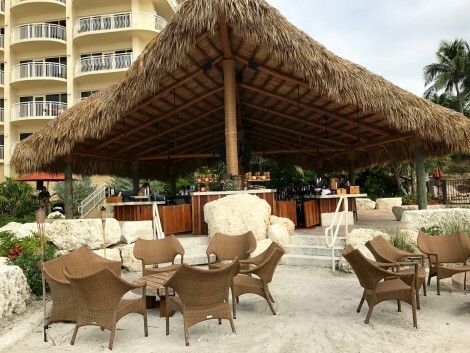 The open-air, A-frame, thatched-roof bar places tables on sand (shoes not required) with great views of the celebrated Marco Island sunsets. With live music playing in the background; beach, sea and sunset in the foreground and rum at hand, Kane offers a perfect spot to relax to the max and enjoy the lights out—whether Island-mandated or rum-induced. Put all ingredients except ice in a cocktail shaker and shake vigorously. Fill a funky island glass (or collins glass) with crushed ice and stain drink over ice in glass. Garnish with orchid flower and pineapple leaf. Add a colorful straw. Mix simple syrup with an equal amount of POM pomegranate juice.